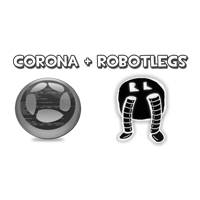 I’ve recorded a new video series that goes over how to do Model View Controller development for medium to Enterprise mobile applications in Corona SDK via Robotlegs. It’s a popular framework from the Flash/Flex world that I’ve spent the last 2 years on and off porting from ActionScript 3 to Lua. It’s mature enough now that I can start actually recommending its usage, primarily to garner feedback for guiding it’s future implementation. Additionally, I recorded a code walkthrough separately below. Code’s in the Cafe Townsend section in the repo.